We now enter into a new life experience filled with newness and depth. Learning and growth should be your key phrases and affirmations used regularly. If we are not continually growing, changing and learning, then we stagnate. Even though some lessons in life are not pleasant still we need them to accelerate our process and goals. Simply because we cannot always see how our life is a winning version of time, does not mean we should not live it to the fullest. If I could not learn I would die. Be it inside or out, I would just stop trying. People who attain enlightenment, success and fulfillment, make bold choices in life and deal with the results. These individuals know that change is the key to their future. Back to square one is a common misconception that leads us to think we are not accomplishing our ends. Ultimately all things are born from square one, all ideas, all creativity, all desire to live and advance, all life. We are not lost because we return to the start, only re-visiting it to bear a new fruit. The only resolution a person needs make in their life is to become the person that they admire most in life, themselves. Always becoming is key. Never settling for unhappiness as the truth of who you are, and always striving for the next freeing realization you can attain. May you all be the success story you know you are! Athene’s plans for the New Year are to go back to work and teach as many people as possible about the Universe and its operation. Finding and working with your spirit guides is my primary goal for all of you ready and willing to experience such passage. She will be offering these new classes through a meeting program called Zoom on computer. You will pay her and then she will send you a link to join the class and all can see one another in attendance. She will also be able to record classes so you may go back over them or pick one up if you miss any. These classes will be held Sundays from 1pm to 3pm Mountain time. There will be 4 classes and the cost will $100 for the four or $30 weekly. The four weeks must be your commitment; you cannot simply take one class. This cost is also in your dollar currency if you are in another country. Please play with this program in advance to make sure your sound and camera work for you. Classes will be February 3, 10, 17, and 24, 2019. Once again if you must miss a class it will be recorded for you and Athene will also be available to answer any questions you may have. Classes must be paid for and confirmed by January 25, 2019; should Athene not be able to attend for any reason all monies will be refunded and she asks you make payments through pay pal, sent to atheneraefiel@yahoo.com. Also contact Athene through her e-mail for any other questions you may have. These classes will teach you how to Anchor Light, Meditate, Visualize and do Inner Journey work. You will have the opportunity to meet Your Higher Self, Your light being Teachers and a variety of Angels and Power Animals. Some people see, hear, feel things intuitively and everyone is different. You must attend with an Open Heart, Mind and Patience. Please leave your expectations at home. Athene is also offering a 15% discount on all private sessions through January 2019. The Seven Rays that each of you emanate, comes from your individual chakra system. A chakra is a spinning vortex of light, which extends out to connect with another chakras’ vortex of light and another, to create the aura. If each person could travel in a spacecraft outside the earth’s atmosphere they would see the aura that planet earth emits. Looking up from planet earth, we can see the aura of the universe that surrounds us and we call it the sky. All these things we see are mixtures of light and color that give us variable perceptions of sound and vibration, as well as light and color. These energies make up all that we see and sense around us. Looking at a bright sun or full moon, we often feel vibrations as we experience the visual intensity. Sometimes we describe these things as instilling a mood. In silence we both hear and see sound. Silence in and of itself is sound. Listening to the silence is how you discover what you are not hearing, while still hearing the sound of silence all at once. What we see and hear often evokes feelings. When we see something that we find beautiful and pleasing, it may evoke a feeling of peace and pleasure within us. When we hear a child cry, it generally evokes feelings of kindness and caring. Sometimes after these feelings are evoked we the receive images of what a crying baby looks like. This sound has now evoked a vision as well as a feeling. Almost all people unconsciously experience these things I am describing, throughout life. Most have never even considered that by watching how this operation works in their lives, that they could consciously use it to change self and the world around them. If one were to see oneself as a complex set of operations that can be utilized and fine-tuned to master life and destiny, what type of feelings and pictures would this evoke? Studying ourselves as the complex and unique instruments that we are can be very enlightening. Watching how and why we do things can give us a powerful perspective on who and what we are. Actions and reactions can be changed, along with thought processes and development. Viewpoints can be expanded and a small world turned into a big one. Asking ourselves why we feel, see and hear the way we do starts us thinking in new terms. Although we advance along our spiritual path of learning and evolution, the same techniques are always applicable for whoever and wherever we are on our spiritual path. We are all ever-expanding, ever-evolving energies that may chose to grow or stagnate at any time. As we open up and expand, we discover that spirit awareness and awakening are perceived realities that bring about conceptual awareness and understanding. This becomes a foundation upon which we build and develop our spirit journey. 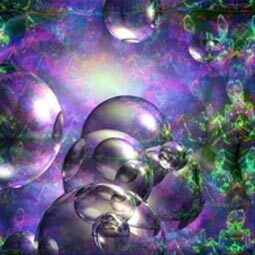 The tools we use are the same senses and techniques I have just described, only as we advance we begin to see, hear and feel, within many different levels of oneself. Our heightened awareness allows us to begin communing with otherworldly beings and entities. 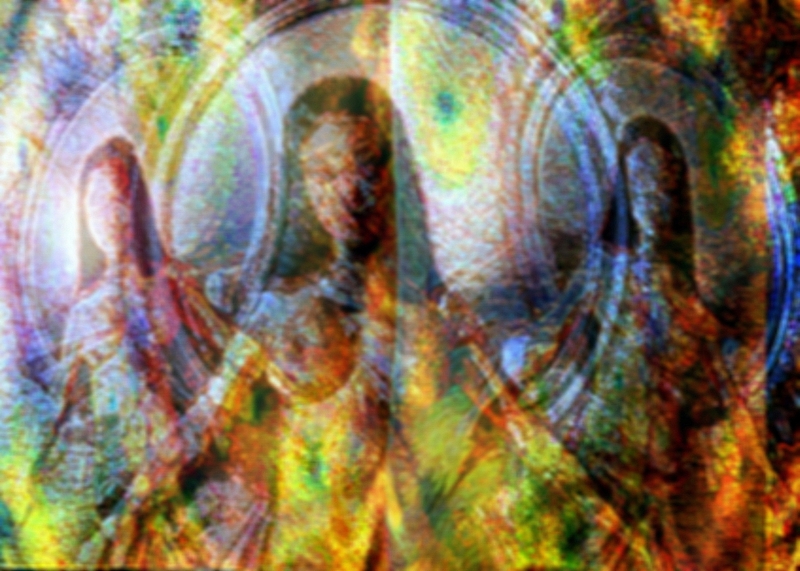 We realize that we can commune with Archetypes such as Angels, Ascended Masters, Spirit Guides and our own Higher or Spirit Self. We now learn to cleanse and clear soul debris and karma that holds us back. We begin to heal and integrate all aspects of self and discover that the past can be let go of. By understanding how our senses operate and skillfully re-training ourselves, we use and develop them inwardly as well as outwardly. All this is accomplished by observing and knowing oneself. 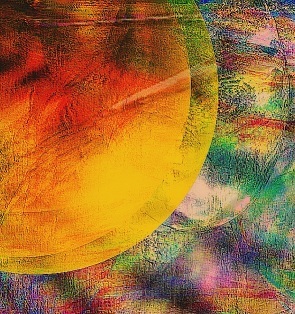 What is the sensation of color about? Why do different shades of color evoke different feelings? When I close my eyes can I make myself see colors? Why do I think and believe I can or cannot do certain things? What do I hear in the silence? What does pure silence sound like? What does it feel like to be happy? Can I sit with my eyes closed and evoke these feelings if I want to? Asking yourself these kinds of questions, and then practicing seeing, hearing, and feeling, is how we continually use and develop our extrasensory perception. When we were children we worked on developing all of our senses. In our innocence we tried to communicate in any manner we could. We were unable to make or understand words so we communicated through our feelings. Most parents are perfectly happy to communicate with their young through loving tenderness and kindness. This love evoked feelings of security and safety within us. For most individuals there were many times in their growing up childhood’s where these feelings were shattered and temporarily destroyed. Even as adults we find ourselves faced with these exact types of experiences. When this happens we feel betrayed by our own feelings. We feel stupid and pull ourselves inward so that others cannot see the pain that we feel, nor can they do anything to hurt us again. Often in the inward place we find solace and solitude but also isolation. For most of us we have been experiencing ourselves and hurt in this manner since childhood. Generally we have been made to feel that this is just the way life is and you have to learn to deal with it. We have been left to our devices to figure out how to do that and with little or no guidance to go by. It is not our parents’ fault that they too were brought up and taught in this manner. They are simply passing on what they consider to be the realities of life to you. Well now that you are an adult and can search to find the core of the being that you are, you can start to pay attention to how you feel about and react to such situations in your life. If you don’t like feeling the way you do about yourself and the life you are living, then you can change it by observing, paying attention and work at making it happen. My Spirit Guides, Archangels and other Teachers of Light, that assist me daily, commune with one another and me at all times. At first I was afraid and a bit ashamed to have them present in my life. I didn’t want them to know how hurt, angry and lonely I was. That was a long time ago and after many years of looking at my conditioning, we have worked through my misconceptions of self and have become unified. With Spirit and I, we always feel the loving presence of one another. I am never alone and neither is anyone else. In ones misconceptions, they simply believe and accept themselves to be so. Aloneness is a good thing. It is a place within ourselves that we have created to re-connect with these wonderful friends and family, our spiritual soul mates for eons of time. Growing up we were taught that things such as spirits and angels do not exist and are imaginary. We were taught to use the left hemisphere of our brain and to eliminate the subconscious as a place of unrelated dream worlds. We were taught to think of and see things this way because that is how our parents were taught, their parents, and so on. Also due to the fact that so many people have isolated their feelings believing them to be a hindrance that creates vulnerability, they wanted to make you tough in order to survive the outside world. So humans have perpetuated this way of life as reality for many centuries now. There have always been a number of people that were born as very sensitive and intuitive beings. Who, even through such challenging lives as I have described, managed to still find themselves and their sensitivity later in life and restore it. More people than ever are doing it all the time. It’s like they hear a calling inside that drives them to go beyond what they have been taught was reality and the norm. Often they are seen or labeled as rebellious or out of control. Most people who decide to listen to their own inner-self have a period where they have to block out the rest of the world temporarily, to do it. This in a way labels them as non-conformists by those that love them. For sensitive’s, conforming to a world and life with no sensitivity is utter insanity. They cannot feed themselves without sensitivity nor can they feel alive. For them, the awareness that kindness and compassion are major components of healthy living, drives them to explore their own nature and to heal themselves. They generally then take on the challenge of helping others to do the same. We all know that money holds too much power over survival on this planet. Without money you cannot eat, dress, keep warm or have shelter. Making and having money takes up so much time and energy in ones life that they are too tired to even think or hope for anything else at the end of the day or the week. From the time we are young we are taught to live this way in order to survive. This training is a necessary part of survival but it cannot bring us security. Security can only be felt and experienced. Security is within not without. When we learn that we are not alone in our lives and our soul self, we then learn that we are soul, spirit and energy rather than form and mortal. At this juncture of life’s journey, our understanding of security changes, as does our life and purpose for living. Too many judgments are made by using the left brain and reason alone. These judgments cause a world filled with turmoil, anxiety, stress and insanity. If logic and reason were truly the keys to success and freedom in life, then why haven’t they worked? It is easy to pooh, pooh, the idea or existence of otherworldly beings. It is easy to deny that you are the only true power in your life. It is hard to take responsibility and seek to know that which others have denied as being truth for centuries, simply because you were taught that such things are nonsense by adults in this life. All one needs to do to decide to explore and journey other elements of themselves is to look at the lives of those around them. 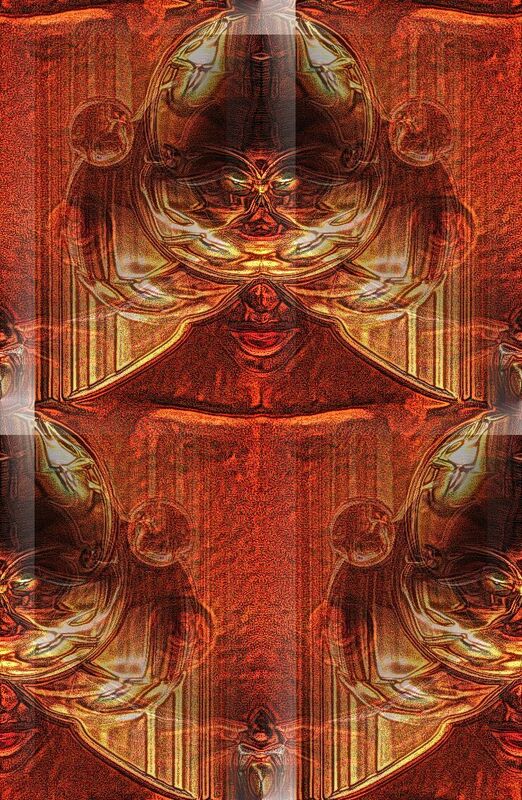 If what one sees is truly what one wants then they too will deny any truth beyond what they can see, touch, taste or feel with their outer senses. But for those who seek security, peace, love, happiness, joy or bliss, they will begin searching and exploring texts and teachings that are far removed from such a constrictive way of life and thinking. The journey of life is far beyond the five outer senses; the journey of life for each of us began long before we were born this lifetime. The five outer senses are tools that we use to define what we learn and apply with our extrasensory perception. To see the world as the sounds and colors smells and taste that it truly is, is amazing. 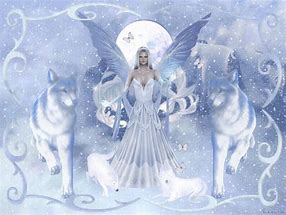 To become aware of how you and all other life are connected is awesome, and to see a Spirit Guide, or and Angel for the first time is remembering what it feels like to be at home with your true family. 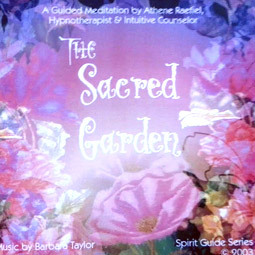 Color and sound are key elements in our spiritual development. The silence and the sounds therein hold magical insights. Understanding that we have the ability to change how we feel about our life and ourselves is major self-healing. Letting go of what we thought we knew to be so, and discovering what we intuit to be true, is how we begin forming a new foundation. You are Seven Rays of light that emanate from your Seven Chakra Centers that assist you in remembering the seven levels of consciousness you travel and exist, as well as live within. You were first born of spirit, then soul and lastly body. You contain the mind of God, Goddess, all that is, and are the mind of God, Goddess all that is. You were and always will be an emanating energy in the Universe that assists and connects with all other energies of like vibration. If you do not like the energy of the vibration you have become it can be changed. The rational mind and survival do not determine who you are, you do. 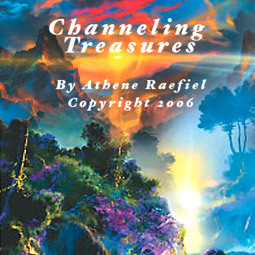 Bio: Athene Raefiel is a teacher of Mysticism and Enlightenment. 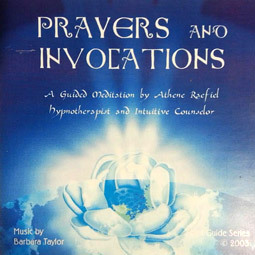 She has been helping people find direction on their spiritual path since 1985. 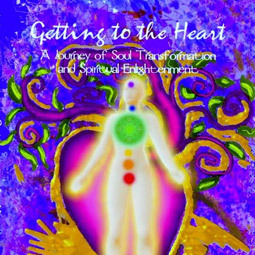 She is the Author of a book called, “Getting to the Heart, A Journey of Soul Transformation and Spiritual Enlightenment”. When we want to understand the energy self, and the energy beings we call spirit guides, we need to practice putting ourselves in a purified sacred energy space. This is what I call setting the space. Needing to keep our energy fields clear is important for us to feel safe and also be in tune with our intuition and divine counterpart. To begin, it is good to smudge your sacred space with some white sage or a stick of incense. When you are creating a sacred space within which to meditate, relax or even just contemplate, you will want to make it feel sacred and personal. Some people like to light candles seeing them as representing the flame or light of life within that they, and all other life is. Other spiritual tools you may want to use to set your spiritual space are rocks and crystals, statues and altars, special books and divination cards, runes and pendulums. Don’t forget a notebook and pen, you never know what you may want to write down. Doing this kind of exercise puts you in the right mood and helps you set your intent for the desired results. When it is time to sit down and anchor the Light, Simply take some very deep breaths and relax your body, your mind and emotions. I call to my angels and spirit guides of light. I call to my soul and spirit self. I call to all those that assist, guide, guard and protect me. I ask that they align their energies in and around me so that I may feel and experience my connection to the holy light within that I am. I am a child of light and love. I am goodness and beauty. I am the reflection of the holy light within. Now simply visualize the sun shining directly over your head as you feel the warmth of the rays coming down around you. Fill your entire being and space with this light. Now feel as if there are roots coming out through the bottom of your feet and let them move deeply into the earth. Now begin feeling the roots being filled with the nutrients from the earth. Let a temple of light be created around you and bathe yourself in this light. Merge with the light, become one with it and experience the colors within the light as fully as possible. Become the different colors you see, one at a time; the blue, the red, the pink, the emerald, the white, the gold and purple. Now let all the colors just simply move through you. See yourself as this wonderful clear crystal emanating all these beautiful colors. Realize how awesome it feels to be able to be these beautiful energies, sit within them and notice how angelic you feel. Become a beam of light, expand yourself out in every different direction imaginable and allow yourself to come back to the outside world. Now sit quietly for a few minutes while you assimilate the experience. Now that you are centered within your light you may want to write down what you are feeling. You may want to use your tools of divination and see how clear your intuition has become. Or you may simply want to bask in the energy experience. This is an exercise that should be done as often as possible for those wanting to learn to go within and connect to your spirit essence. As lightworkers it is our calling to anchor the Universal light into our lives daily. The universe asks nothing of us but to become attuned to ourselves as light beings and assist them in the creation of light within the physical plane of existence. This we do by anchoring light. Please leave a comment and let me know you are listening. I have been putting out messages for many years now and love the feedback. You are all spiritual warriors and I congratulate you and the distance you have come. Keep paying attention to the Universe and Your Higher Selves; so much will be forthcoming soon. Blessings of Light! It works and is helping people on the Planet “get it”. Your planet cries out to you, do you not hear me? My oceans are not your dumping grounds nor are they there to test your weaponry. The rubble you create through your wars and hatred cannot be eaten by me. I hunger not for these things. I am a living organism who has been around for many a millennium, I have dealt with Asteroids, Comets, Dinosaurs and other worlds weaponry; but never imagined that which I spawned would seek to destroy me. Yes much of your kind walked out of the Oceans to be the protectors of Earth not the destroyers. As you feed your materialism and need to rule, you overlook your most important and valuable asset: me. So many honor me and ask for my help, yet ignore what I need to maintain and restore some semblance of balance, always looking to another planet or star system to live upon in the future. What you sow shall you also reap. Pretending my message is not of real importance shows your ability to ignore your own smelly waste. Yes I could send you a wonderful message of hope and encouragement, yet these are the things I need from you right now. Make haste, time is of the essence. Mother Earth, Lady Gaia, I come to you today in humility, trust and love. I beg your forgiveness for the blinders I have put on and choose from this day forward to awaken to your call of need and sustenance. I honor you, I love you, I appreciate all that you bring to me in life. I am sorry for the destruction of what others have done to you and pray for the strength to assist and replenish you and the life upon you, with everything I have within me. I ask my spirit to assist me in this and honor the spirit of life that you and I are. Lady Gaia, Mother Earth, please restore and replenish yourself and become strong and whole once again. I ask the other planetary bodies and star systems you are connected with, to come to your aid in this trying time and assist you. Hey everyone I thought I better mention something about vibration. I’ve heard a number of people express that they don’t understand why they cannot create or manifest what they’re trying to do. I realized today that we are all about vibration. When we don’t learn or know how to raise or change our vibrations we will not succeed with the Universal Law of cause and effect. My learning and understanding of this chakra has to do with the Throat Chakra and the plane of Cause and Effect. Before we can master or use this plane of existence to create, we first must Healed the Heart Chakra, this Chakra having to do with a balance of conditional and unconditional love. When we are born most of us work through the vibration of the three lower chakras, the Root physical body, the Sacral, Emotional Body and the Solar Plexus or rational mind. These are needed for humans to learn how to do what humans need, like walking, talking, caring, hurt, pain etc. The Heart Chakra is the balancer between the upper and lower chakras. The three upper chakras are the Throat chakra or (the Causal Plane), the Ajna chakra or third eye chakra (celestial Body) and the Sahasrara or Crown chakra or (The Christed body, sometimes called the God Body). If we do not learn how to vibrate at these particular frequencies we cannot master using any of them. Many people open their third eye before the heart therefore have the ability to see many things they do not understand but simply espouse themselves to be physics and teachers but are yet to understand the true vibrations of inner seeing. Until people explore and learn about healing and raising their vibrations they cannot enact properly with these various planes of existence. This can take years of practice and since we live mostly in an instant gratification era, some want to the magic wand way of doing this. Becoming integrated within all these bodies will bring you the greatest joy and gifts imaginable. Trying to use them without knowing how to vibrate with them will usually bring sadness and failure. The chakras are part of the Kundalini. If you do not know of this you should learn about it. In my book, “Getting to the Heart” I explain much about this and also provide exercises to implement the teaching. People are sometimes confused by what I do as a psychic. I have been doing consultations for over 30 years. I’ve helped people through divorces, family matters, death and dying, work related things and their quest for a better life. I’ve worked with people from all walks of life and around the world. My parents used to tell me not to share with others when family members who had crossed over would come to visit me. My step father called me a child of Satan, and I could see energy around plants, animals and mountains, from the time I was two. I left home and Country at 15 and as you could imagine had a pretty rough life. At 28 years old I met a group of people who told and taught me that I was gifted, at thirty I began to meditate and have done so every day since. 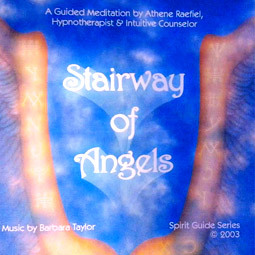 I was taught by Archangel Raphael at age 38 to go within and heal my lifetimes. I discovered what he taught me was basically called Transpersonal Hypnotherapy; went to school for it and got my Clinical certification. Later went to Mediation courses in Boulder Co. Started reading and studying books at about 30, by the Theosophical Society, Comparative Religions including but not limited to, Buddism, Brahmism, Taoism, Hinduism, The Torah and the Bible. Will forever be a spiritual student. Found peace and enlightenment in my late thirties early forties, married at 45 and am 68 now. I have been living my truth and teaching others to Meditate and work within Soul to the best of my ability ever since. Nothing in my life has been easy but all of it has been a blessing, I Am That I am.